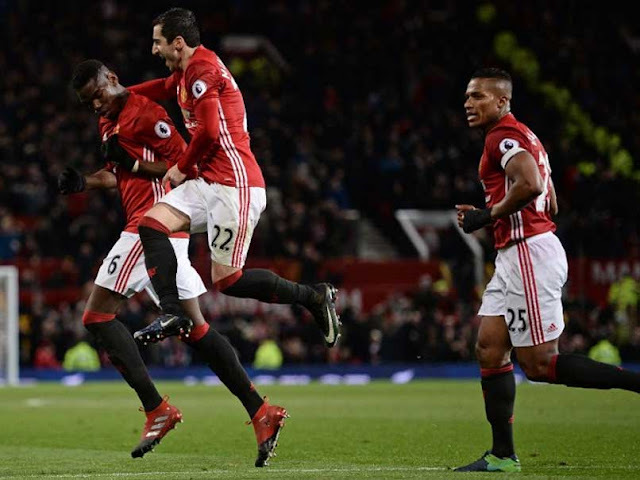 Manchester United came perilously close to seeing their own winning streak end, only for late goals by star signings Anthony Martial and Paul Pogba to secure a 2-1 home win over Middlesbrough. This is United's fifth straight league win and took them to within a point of fourth-place Arsenal, who host Sam Allardyce's Crystal Palace today on New Year's Day. United produced a comeback reminiscent of the glory years of the watching Alex Ferguson to continue their recent upturn. But they had to do it the hard way, with Ibrahimovic initially denied an 18th goal of the season in a contentious incident late in the first half. Leaping to meet Anthony Martial's left-wing cross, the Swede jabbed the ball past goalkeeper Victor Valdes at the near post, only for referee Lee Mason to rule it out. United's players, and Jose Mourinho, contested the decision, and there was worse to come when Grant Leadbitter drilled Boro in front from Alvaro Negredo's knock-down in the 67th minute. 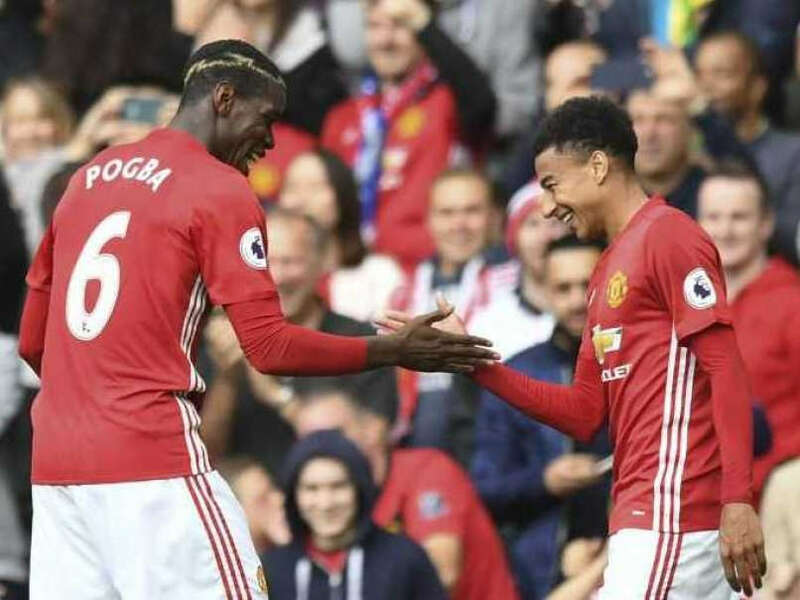 United got their goal in the 85th minute thanks to a cool finish from Martial, and barely a minute later Pogba headed in the winner from Juan Mata's cross. Paul Pogba scored the winning goal for Manchester United.